What a mind trip! 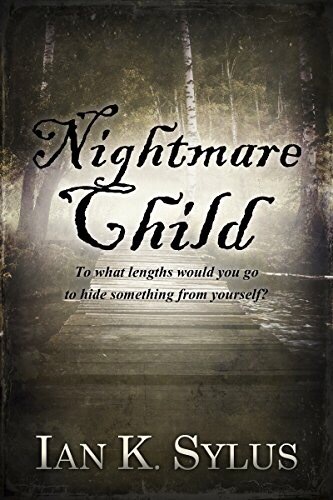 Nightmare Child is a tale of self-discovery and healing which takes place almost entirely in the mind’s eye of our main character, Celeste. She wakes after some unknown event to find herself in a realm composed of her own mental constructs. It’s her nightmare (maybe), populated with a menagerie of characters who, for the most part, are bent on seeing her destroyed. The author did a good job building the surreal dreamscape through which Celeste must journey. And while the story was fantastical and sometimes hard to track, dreams are like that aren’t they? I loved how fluidly and unexpectedly environments and adversaries could change, it kept Celeste (and me as the reader) on her toes and constantly second-guessing herself. At the start of the story I thought I was reading about a grown woman so imagine my surprise when, about a third of the way through the book, I realized Celeste was a mere teenager. I don’t know if I would’ve preferred the author give me a few more indicators as to her age earlier in the story or if the surprise was a good literary decision… Something about her internal dialogue just read as an older, more mature woman to me, so for the rest of the book I was struggling with the juxtaposition of Celeste as I saw her and how the author wrote her. There were also a few editing blips, but they were scattered about infrequently enough so as not to detract from the atmosphere; I found they were somewhat easily ignored. All in all, this was an engaging read. The way the author had Celeste confront and deal with her mental demons was truly unique. Bravo. Want to read it for yourself? It’s only 99¢ (through the end of 2016) so snag your copy HERE.